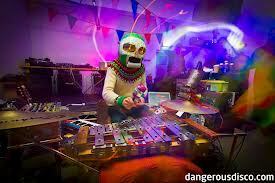 Spaceheads are a duo of trumpet and drums, based in Manchester and London. 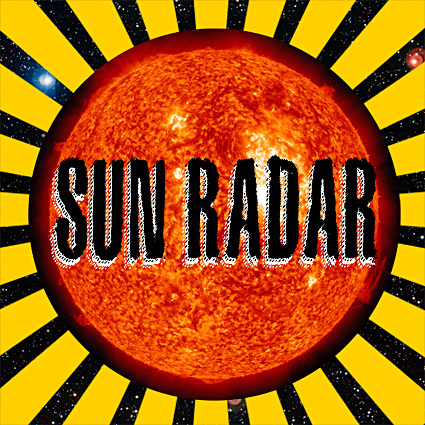 They have just released a new EP “Sun Radar” on Electric Brass Records as 12 inch 45 rpm vinyl, CD and download. They formed in the early 1990s and have released nine albums to date, two in collaboration with sound/visual artist Max Eastley, and have toured extensively around Europe and the USA. They first performed at Club Integral way back in 1993 and have done so many times since. Andy Diagram (Diagram Brothers, Smart Bombs, David Thomas and 2 pale boys, James) plays trumpet through electronics, mainly live loopers and harmonizers. Richard Harrison (Mudhutters, Nico, Toolshed) plays drums and percussion. Over Harrison’s inexorable intricate grooves Diagram builds great swathes of noise with his effects-treated trumpet; looped riffs, digital glitch, samples and backwards tape collide in a potent avant-garde/post-rock/ jazz/dub/funk synthesis. Their music is brilliantly-realised, utterly unconventional and constantly striving to break new ground. extraordinary 12-piece Homelife in 1997 with guitarists Simon King and Tony Burnside. At the core of the band were muti-instrumenatlist Graham Massy and singers Seaming To and Faron Brooks, supported by a floating army of string players and percussionists. The band went on to release six albums, variously on Madwaltz and Ninja Tune, and three EPs and six singles plus various miscellania. The band finally split in 2003 after a brilliant concert in Chalon-Sur-Saone in France, finally buckling under the strain of sustaining such a large group. As a solo artist these days Steer released an album Dragon’s Breath (2009, Red Deer Club), and gives outrageous performances around the country using a battery of homemade instruments – ancient synthesizers, glockenspiels and mad percussion instruments fashioned out of god-knows-what. Dressed in a boiler suit and homemade flashing robot head he is a one-man disco machine laying down bossa grooves, Hawaiian guitar exotica-stylings and maverick soul/jazz rumbles. Seaming To (Homelife, Lotus Pedals, Herbalizer, Mayming) is a British singer-songwriter and multi-instrumentalist of Chinese descent, who has worked in collaborations with Matthew Bourne, Marc Ribot, Jean Claude Vannier and many others. Her voice is an extraordinary instrument in its own right, described on Radio One as “the voice of the 21st century“. She comes from a family of concert pianists and studied at the Royal Northern College of Music as a classical soprano. However she has since worked at the experimental fringes of contemporary music, combining electronics with acoustic instruments like clarinet and dulcitone. She has just released her first solo album “Seaming” and is currently touring the UK with “Songs For My Grandmother” a highly acclaimed piece she has written and performs with her concert pianist mother, exploring her Chinese roots and the experiences of her mother and grandmother as part of the Chinese diaspora.